24"W x 64"L. Wooden handle with a poly rake head. Good for raking large quantity of leaves and other yard waste. Designed to be lightweight and durable. 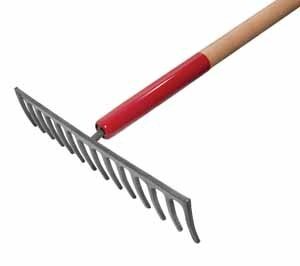 The ribbed construction provides additional rigidity and strength to the rake head.